Reading comprehension is one of the most essential skills to teach, yet one of the most complex. It is an essential skill, not just in the subject of reading but many other subjects as well. Sequencing is a key component in comprehension strategies. It helps us find meaning in the text we read, not only as students in reading and school but in a multitude of situations in real life. 📚 Sequencing is one of the core skills that help us to comprehend and make sense of what we read. 📚 It is the beginning, middle and ending of a story. When we sequence what is read, we find meaning in what is read by using the details of the text, the order of the events and keywords to make sense of what we read in a larger context. We use the parts of the text such as beginning, middle and end of the passage as well as keywords in passages such as first, then, later, afterward, finally and in the end, to place the details in order in the bigger scheme of what is being read. In order to remember things we read and share with others, it's important to be able to tell things in order. Sequencing helps the information be more organized thereby making the retelling easier to understand. Recalling the information in chunks such as beginning, middle and end makes it easier to tell and remember. Integrate sequencing into other areas of your teaching. Use great sequencing stories to introduce and practice sequencing. Many of my students had very low reading levels but I still wanted them to be able to sequence events and ideas. We started our work at the picture level. 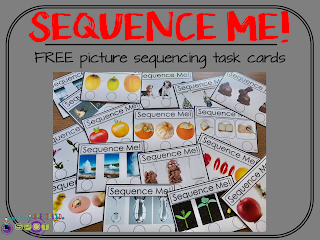 Here is a great simple way to introduce and practice sequencing at the picture level. 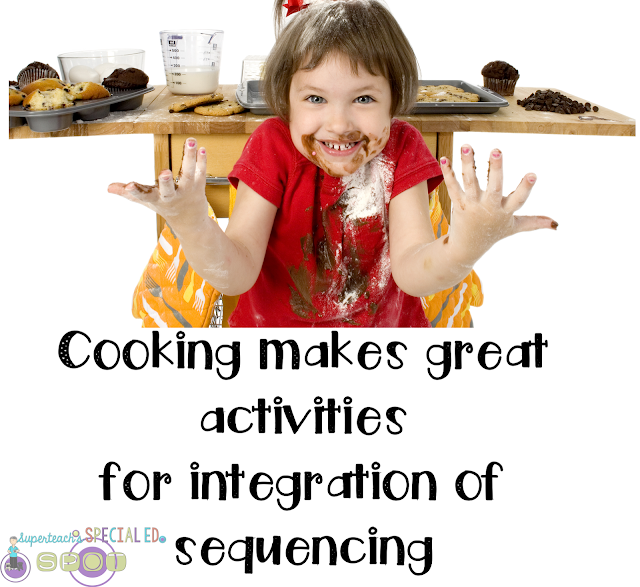 Pick an activity such as cooking or a science experiment. These lend themselves well to using a follow-up activity of putting the steps in order or even retelling how they were done. Graphic organizers are a great way to begin writing and putting the events of what happened in the activity in order. Math provides an optimal method of integrating sequencing, math skills, directions and more. Take an easy recipe such as making no bake cookies or jello or putting together a snack. Perform these with the group, then have them illustrate the steps and the order in which they were done. Its also a great time to emphasize how important order is since often when we put cookies together in the wrong order, the cookies do not turn out well. Reindeer Poop Cookies - while these cookies may need a different name in your classroom they are great fun. 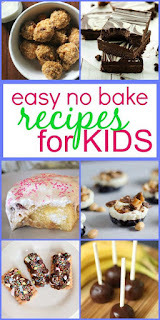 Here is a great resource for no bake ideas. Science is an excellent opportunity for working on sequencing skills. Practice sequencing following the steps of an experiment. Work on retelling how the experiment was done. Drawing pictures of the steps of an experiment is an awesome way to integrate science and sequencing. I believe that children must learn how to cook basic meals in the childhood. In this situation they will be fully responsible for their nutrition and life. In accordance with review of paperial I believe that every person must be able to satisfy at least simple basic needs.